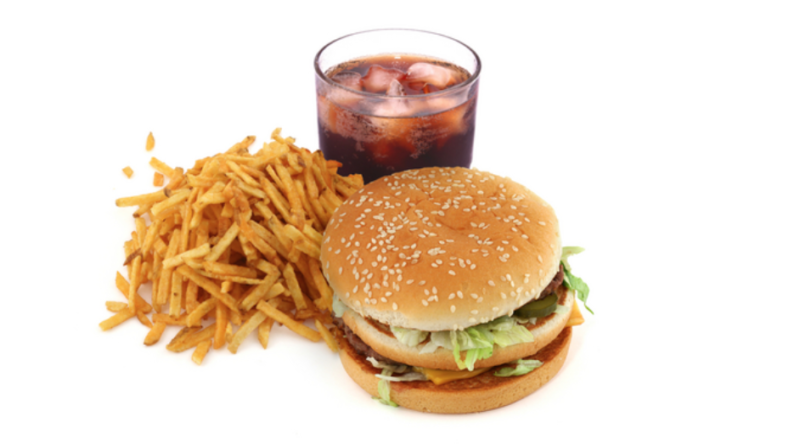 When choosing between a quick on the go meal from McDonald’s or creating a nutritious meal at home, many choose the quicker option despite the negative effects that fast food has on long term health. Fast food companies use marketing strategies to appeal to young children and more than one-third of American adults eat fast food on any given day. Fast food is quick, convenient, and cheap so parents don’t have to worry about preparing a meal every day. To add on to that, students often crave fast food after a long day at school. Freshman Ben Kamenetsky, says he eats fast food maybe once or twice a week. “Sometimes my mom is feeling lazy and doesn’t want to cook, or if we’re just out the whole day it would be awkward if we went back home to cook,” said Kamenetsky. Sophomore Rahem Hamid says he makes it a matter of principle to not eat fast food because he does not want to eat it and worry about his health long term. “I probably eat fast food like once every three to four months,” said junior Kavya Anbarasu. “I choose to eat it because it tastes good, so I enjoy eating it. Yesterday for the half day I got Taco Bell, but obviously, it is not healthy so I don’t like eating it that often,” said Anbarasu. “Marketing I think has a lot to do with it,” said Wellness and Physical Education teacher, Mr. David Christiansen. He says in the past, it has always been more of a negative trend because of the fast food McDonald’s, Wendy’s, Burger King, but thinks there is some good to marketing now because of the trend of wholesome fast food. “I think places like Chipotle and B. Good are places that are still kind of fast food but marketing can also be a good thing if the food is more nutritious,” said Christiansen. Wellness and Physical Education teacher Ms. Barbara Munden says that the marketing strategies of fast food companies make a big impact. “Just seeing it makes you kind of crave it,” said Munden. “Teenagers have less and less time it seems every year, more and more pressure is on them with more and more activities after school. So to be able to drive thru a Taco Bell and get a full meal for four dollars with a drink is kind of appealing,” said Christiansen. Both Christiansen and Munden say that they had freshmen go to fast food nutrition menu sites to be aware of what they are consuming. They both considered it “eye-opening” and “shocking” to students. “An occasional thing is okay for fast food. You just don’t want to make it a staple of your diet because it’s loaded with things that are very unhealthy between the sodium, the sugars, and the fat calories, but not a lot of vitamins,” said Munden.